Next up for the SL-What? Series is Julia aka The Traveling Traveler! 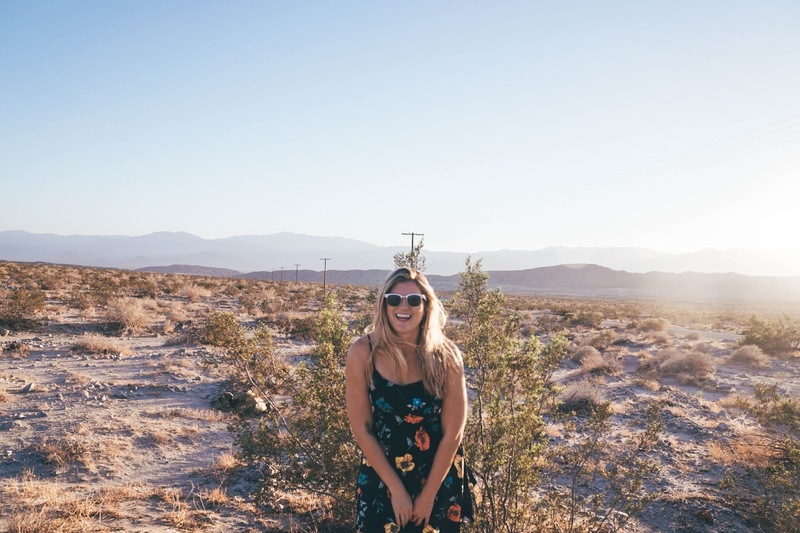 If you love travel, gorgeous photos, and/or speech-language pathology, you will LOVE her!! She is an incredible photographer, beautiful human, and spectacular SLP! Check her out!! 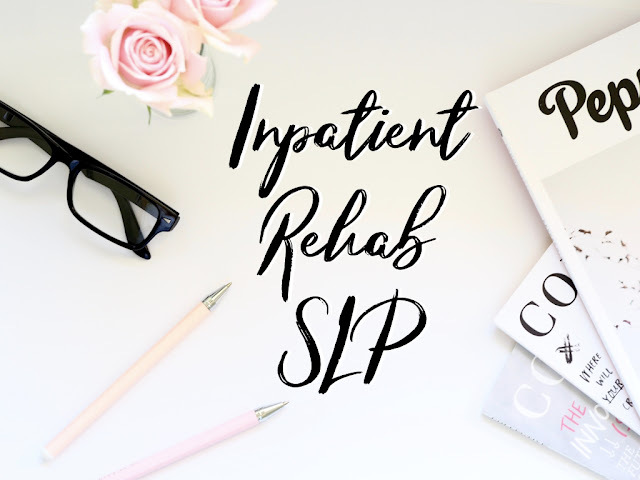 My name is Julia Kuhn and I have been a practicing SLP since 2009. 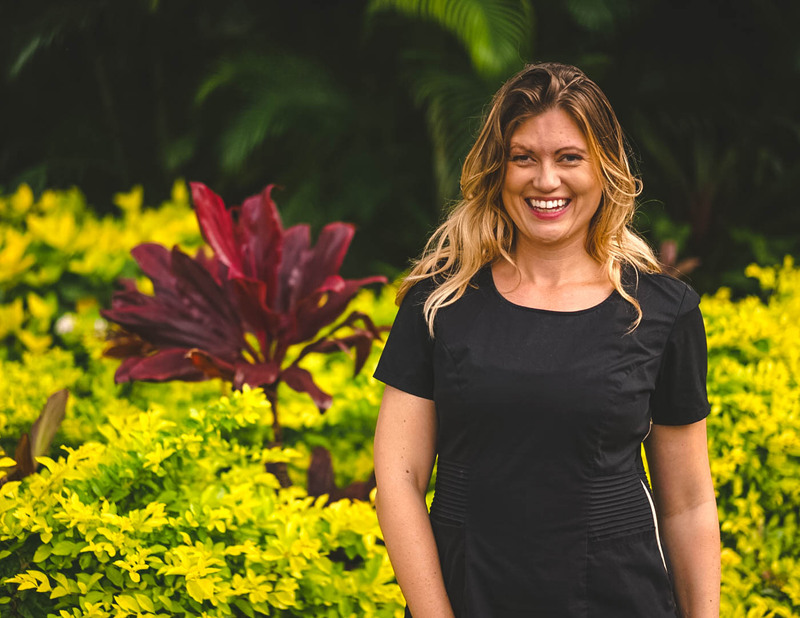 My specialty is adult neurogenic rehab and I currently work in an acute care hospital in Hawaii. 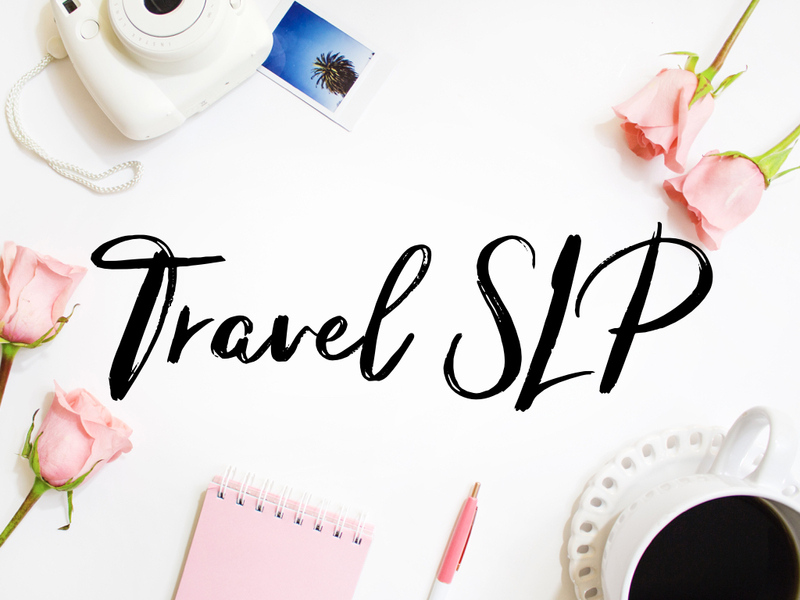 Travel therapy has allowed me to combine my love of travel and speech pathology. To date, I have worked over 20 travel therapy contracts in 5 states from Hawaii to Massachusetts . I am the blogger behind The Traveling Traveler, which shares resources, inspiration and tips for traveling therapists. My SLP career began as a Clinical Fellow in a Skilled Nursing Facility. 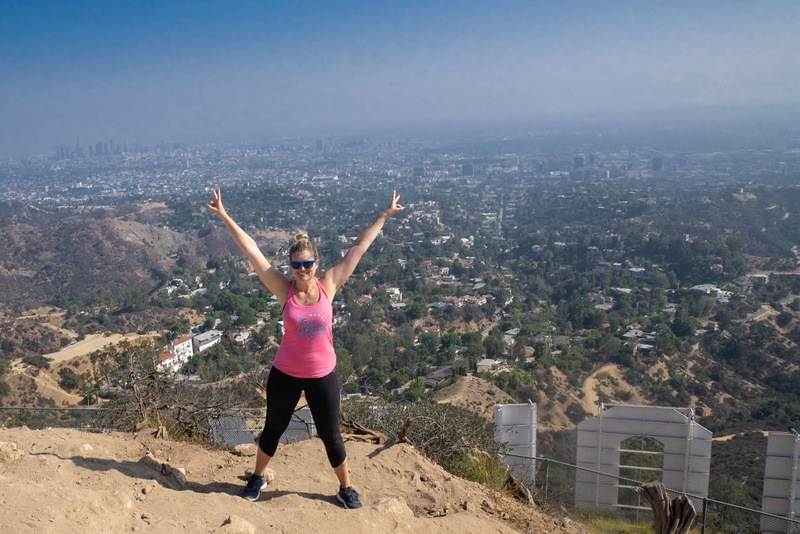 My passion for travel was leading me to use all of my PTO days to explore the world. Frustrated with the lack of PTO days in a permanent position, I turned to travel therapy in 2010. As a traveler, you can work a 13-week contract and then choose when or where you want to go again. Travel therapy has helped me to see the country and travel to over 15 counties. I have attended Spanish language school in Mexico and Costa Rica and got to check many destinations off of my bucket list! As a novice traveling therapist, I knew very little about being a traveler. Learning happened through trial and error and networking with experienced travelers. In 2014, I started a Facebook Group to connect traveling therapists called Travel Therapy Therapists. The group started with 20 of my friends and it has grown to over 6k members. 2 years later, I started writing a blog to provide more resources for travelers. When I was 16 years old, I began working in the activities and dietary department of a skilled nursing facility. In dietary, I spent my days doing trayline, preparing thickened liquids and modified diet textures to serve at meals. Interacting with residents at the nursing home was my favorite part of the job! In college, I was trying to figure out what I wanted to do with my life. I kept on coming back to the fact that I loved my job at the nursing home. I researched the roles and people working in the SNF and that is how I found speech pathology! My current position is in a small, acute care hospital that services mostly geriatric patients. As a traveling therapist, I have had the opportunity to work in adult settings at every level of care, which has been valuable to my professional growth. It has been helpful to understand the healthcare continuum of care and be able to explain that to my patients and their families. The majority of my career has been working in skilled nursing facilities. I have also worked in level 1 trauma centers, inpatient rehab, brain injury units, LTACs, treated outpatients and even completed some home health visits. Patients ages have ranged from 18 years old to over 100 years old! While it varies from setting to setting, my primary role as a clinician is to diagnose and treat impairments of language, cognitive-communication and swallowing. A benefit of being a traveler is getting to collaborate and learn from a plethora of individuals. From physical therapists, occupational therapists, respiratory therapists, nurses, nursing aides, dietitians and doctors. Every clinician has something new to share and teach others. Every assignment as an opportunity to learn something new! The biggest challenge as a traveler has been the lack of consistency in jobs and not knowing what is next. As a traveler, you sign on to work a 13 week contract. At the end of that 13 weeks, you are unemployed and looking for a new contract. It can be stressful to be constantly looking for a new job and finding new housing to accompany that location. Travel therapy has taught me to go with the flow and be very flexible. I live by the motto that “everything happens for a reason” and “life is about the journey”. Being able to help patients achieve their personal goals the greatest reward for me! As a traveler, I often go into buildings that have been under staffed or lacking consistent SLP coverage. It is rewarding to treat patients who were not able to get services that they needed in the past. One of my favorite moments as a clinician was when a patient wrote me a thank you card for helping her advance her diet and resolve her dysphagia. At the bottom of the card she wrote “this card is the first thing I have written since my stroke [which was years ago]” I cried when I read the card and realized that the swallowing treatment had such an impact on her life and well being. One of my favorite experiences was working in an inpatient rehab facility that treated patients with acute strokes and brain injuries. This facility had an exceptional team that was constantly collaborating and learning from each other. It forced me out of my comfort zone and pushed me to perform better as a clinician. It was a great team to work with and we had wonderful patients that made great gains. If I could teach the world one thing about our field that most people don’t know, it would be that we work with swallowing! It would be nice not to get the blank stare when I introduce myself as a speech pathologist who is going to evaluate swallowing. I am a coffee and sushi lover, avid hiker, traveler, and wannabe photographer. Travel therapy has been an important part of my career because it gave me the flexibility to pursue my passions while traveling the country and the world. Travel has molded me into an experienced and confident clinician who can better serve my patients. If you are thinking about becoming a traveling therapist, feel free to reach out to me or join the Travel Therapy Therapists Group on Facebook! You can also follow my adventures on Instagram. Happy Travels! Thank you so much, Julia! I love keeping up with your travels and adventures! You always light up my feed with your gorgeous photos and bright spirit! So thankful for social media introducing me to your blog! Happy holiday season, my friends! I hope everyone is staying warm and cheerful and sane! For those of you who get a winter break, you're SO close! For those, like myself, who don't, just remember all the reasons we love what we do! My friend Abby is our next guest in the You're an SL-What? series to tell us all about home health. Her personal story of how she found this field is incredible! You'll be glad you're reading this one! 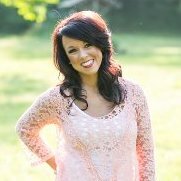 I am a licensed Speech-Language Pathologist in the state of Oklahoma. I graduated with my Bachelor of Science in Communication Sciences and Disorders from Oklahoma State University in 2013 and Master of Science degree in Communication Sciences and Disorders from Oklahoma State University in 2015 with a 4.0 GPA. I have experience working with both adult and pediatric populations in outpatient rehabilitation, inpatient rehabilitation, hospital, skilled nursing, home health care, and private practice settings. 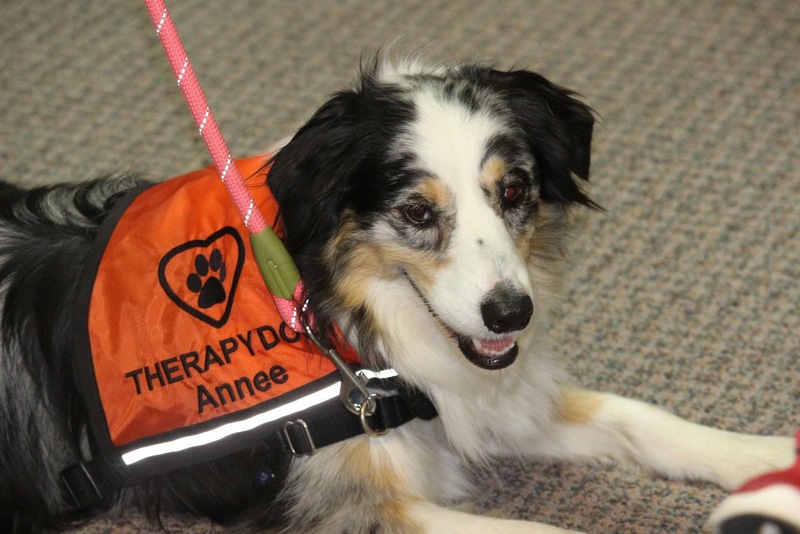 In my free time I volunteer with my therapy dog, Annee, to provide comfort, companionship, and joy to individuals in a variety of settings. I also enjoy volunteering my time as a counselor at Camp Sunrise, a camp for brain injury conquerors. 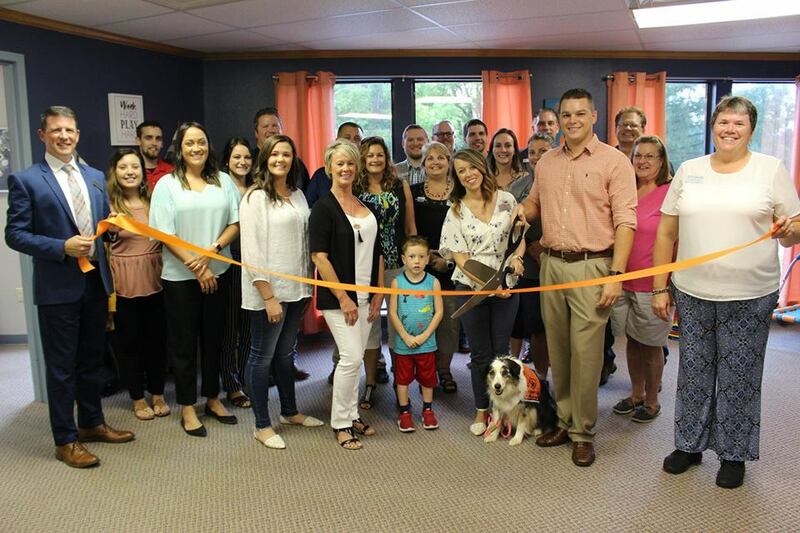 In March of 2017 I officially opened my private practice, Advanced Therapy Solutions, LLC, where I work part time serving pediatrics and adults in the Stillwater, OK, community. 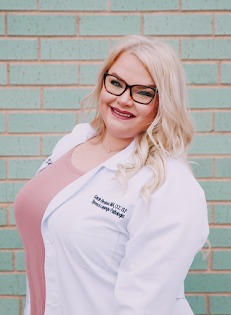 In addition to my private practice, I work PRN at Stillwater Medical Center where I divide my time between Home Health, as well as inpatient rehabilitation and acute cure. I learned about Speech-Language Pathology as an undergraduate attending Northeastern State University in Tahlequah, Oklahoma. I was interested in rehabilitation fields after recently being involved in a motor vehicle accident and suffering three fractured vertebrae in my neck and undergoing anterior cervical discectomy and fusion as well as posterior cervical fusion in 2009. I transferred to Oklahoma Stated University in January of 2011 and immediately fell in love with the undergraduate coursework. During my Intro to Communication Sciences and Disorders class my first semester at OSU we had a guest speaker come into our class, and she was discussing voice disorders and had mentioned spinal cord injuries as well as many other etiologies. At this time, it had been just over two years since my motor vehicle accident and I continued to have chronic difficulty with my voice and breathing that four doctors had dismissed as me being “out of shape” even though I exercised under the direction of athletic trainers multiple time per week at that time and was a member of a dance team. After our guest speaker concluded her lecture I went up and talked to her at the end of the class, and she said could immediately hear it in my voice that something was not right. She referred me to an ENT and started me in voice therapy soon after for what I know now was right unilateral vocal cord paralysis. My voice improved significantly as a result of participation in speech therapy. Those two-and-a-half years that I could not speak loud enough to order in a restaurant or talk without running out of breath gave me a unique perspective that makes me a better therapist, as I know first-hand the impact that communication and swallowing disorders have on a person’s life. I have a pediatric and adult private practice, but I also spend close to half of my time seeing patient’s in their homes as a Speech-Language Pathologist for Stillwater Medical Center Home Health within a 50-mile radius of our home office. In home health I work primarily with adults and geriatrics. Common diagnoses I work with include aphasia, dysphagia, dysarthria, cognitive-communicative disorders, and dementia. We have an outstanding collaborative team that includes nurses, aides, physical therapists, occupational therapists, nutritionists, and a social worker. 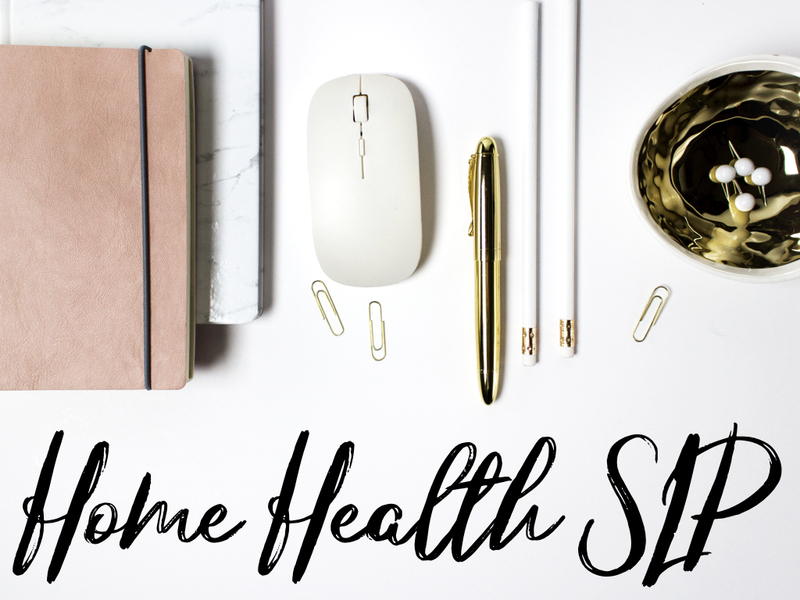 The greatest challenge that I face working in home health is not having the support of other disciplines present in the home when you are there for a visit. You can’t walk into the hallway and get the assistance of a nurse or physical therapist when immediate support is needed, as you can in inpatient rehab or acute care. Home health is a field where multidisplinary education and knowledge are important because sometimes when the patient has immediate needs or concerns you take on roles that you normally wouldn’t because you are the only health care provider in a home. As a result, communication and team work are crucial in home health in order to provide out patients with the support and quality of care that they need to remain safe in their home and reach their personal goals. Another challenge, that I see as more of a benefit than a challenge, is having to perform therapy in the patient’s home with limited resources in comparison to your typical therapy environment. I enjoy the challenge and the opportunity for creativity to make therapy as functional as possible in the patient’s home. Being able to maximize the patient’s safety and functional independence in their home makes home health one of the most rewarding environments to work in. The greatest reward in my job is being able to be a part of a team that is helping people overcome some of the biggest obstacles they will every face through rehabilitation. I love being able to see improvements in my patient’s ability to communicate, eat and drink safely, and perform daily activities with increased safety and independence through their rehabilitation and regain their quality of life. Is it an amazing feeling to watch a patient meet a goal, and then continue to watch him/her make progress over time. Let me tell you how awesome it is to watch a patient go from having little to no words to speaking in short sentences, or not being able to eat or drink anything by mouth to being able to have a meal that they wished to be able safely eat for months prior to that time. It can bring tears to your eyes. I also find that working with individuals with dementia and their families is a rewarding population. I frequently provide services to patients and caregivers of individuals with dementia that without the support wouldn’t be able to remain safe in their home, and I love educating and empowering these families and caregivers. Treatment primarily consists of caregiver education and training and establishment of external aids and strategies in the patient’s home environment, but these supports and strategies can make a world of difference for the families of these patients and can often be the deciding factor between whether the patient will be able to remain in their home or require placement in a higher level of care. If I could teach the world one thing about our field, it would be the diversity that we work with! I spread the word everywhere I can that Speech-Language Pathology is not all about speech, but encompasses every function that impacts our ability to communicate and swallow. As SLPs we graduate with a master’s degree and the training to work in any setting, but we also have the ability to specialize in the areas of our field that we have a passion for. This may mean working exclusively with children or adults, or for some this may mean specializing by disorder and providing interventions only for swallowing, voice, stuttering, or motor speech disorders. I am grateful that I have the opportunity and ability to stay educated and work in several diverse areas of our profession. Knowing that I am improving my patients’ quality of life and functioning with my interventions is the very reason I do what I do. Thank you so much, Abby! I’m truly inspired by your personal experience with voice disorders as well as your vast experience as an SLP! You’re such an asset to our field! !